Some subjects are congenial for a particular artist, while others are not. 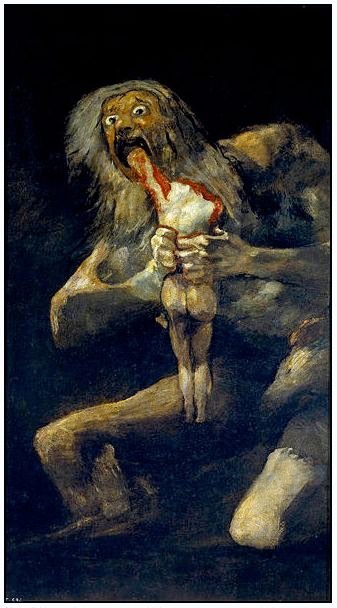 Consider–just to seize on a random example–Saturn devouring his children, and compare the approaches of Peter Paul Rubens (1577 – 1640) and Francisco Goya (1746 – 1828). Rubens is notable in his mainstream work for the literalness of his plump nudes and fruity narratives. 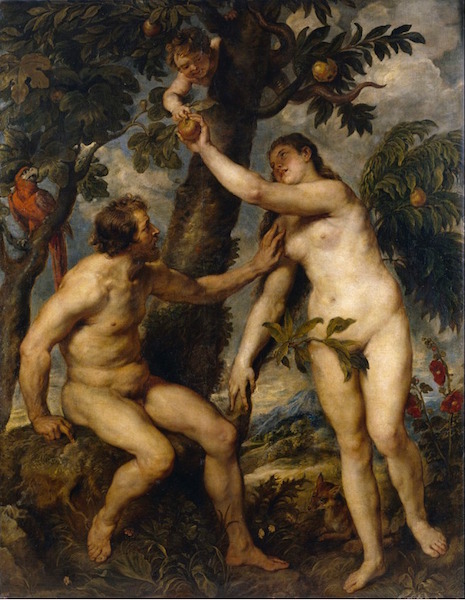 “The Fall of Man”, for example, gives us Adam and Eve as a sharply focused, out-of-shape, middle-aged couple. Rather a flat-footed evocation of the story, but it gets the job done. A matter of taste. And Ruben’s patrons ate this stuff up. An artist’s gotta live. But then we get “Saturn Devouring One of His Sons.” Rubens approaches it in his usual robust manner, as if it were just one more fable. But the story is a horrible one, and the prosaic, literal representation reduces the tale of an unhinged god to no more than a grisly illustration of a glowering old guy biting the chest of a screaming child. The execution is superb—check out that shoulder, or that knee—but you can’t really get into it. This is one that the story-telling Rubens would have done better to have left alone. As opposed to the huge, mythic version by the more inward and visionary Goya, who begins with the sense of horror, and goes from there. Saturn’s body is weirdly shapeless—the action is all in the eyes and mouth. The “child” is a symbolic, doll-like grownup: a ghastly vision, but not so literal as to be repulsive. This is happening long ago and far away. Toward the end of his life, deaf and lonely, Goya was right at home with this sort of thing. A congenial subject for him as it was not for Rubens. On a slightly different note, while scouting the web you may have encountered sites that copy paintings to order, and show how the image you’ve been searching would look in stylish interiors. But Saturn is not, perhaps, what you’d want in the foreground of your social spaces. Or setting the mood in the bedroom.